Brad joined the team at CBD Dental in 2016. He brings with him a wealth of experience. With over 35 years’ experience in dental industry, Brad loves making dentures. 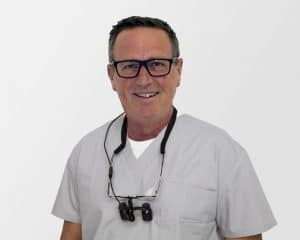 Brad qualified as a dental prosthetist in 2010 and has been helping his patients wear comfortable dentures ever since. Brad works in Wollongong every Monday and is available in Mittagong on Thursdays.